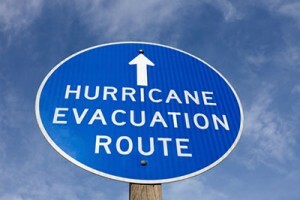 Is your yard ready for the worst that a hurricane has to offer? It’s hurricane season, and with Hurricane Hermine already making her way up the coast, it might be a good time to start preparing your property for the onslaught of windy weather and torrential rain. Here are a few things to get your landscape ready. Trees – Younger trees are more vulnerable to blowing over in high winds. If you’ve recently planted trees that are still staked, check to make sure the stake are driven in extra deep into the ground. Also make sure the ties are fastened and properly secured. If you’ve recently removed the stakes from a freshly planted tree, consider re-staking them for when the storm approaches in order to prevent them from blowing over. Foliage – Cut back trees and weak branches that could make contact with your home in high winds. Thin out foliage to decrease the chances that trees and plants will be uprooted. However, once the storm has been named do not attempt to do any major yard work or begin construction projects that will produce debris. 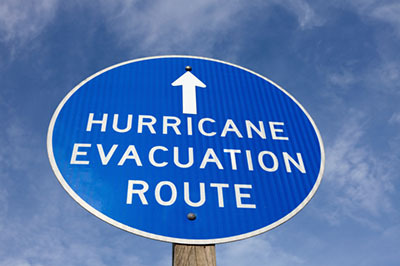 Batten down hatches – Hurricane force winds can turn loose objects into deadly projectiles. Take note of what needs to be moved from your yard into the house or a garage/shed. Things like plant containers, hanging baskets, tools, yard furniture, garden art, compost bins, swing sets, wind chimes, barbecue pits, trash cans etc. can become a danger if not secured. Also make sure to store cleaning chemicals and insecticides as high as possible in a stored area, as these products are hazardous if they get caught in floodwaters. Harvest your vegetables – A large storm means it’s time to harvest the vegetables from your garden, as there is likely to be little left to salvage after high winds occur. Anything that gets flooded will also have to be discarded, so don’t let it go to waste! Safeguard your water garden – If you have a pond, consider bringing in valuable fish inside using a large water bucket. Turn off and secure fountains so that electrical cords are unplugged and rolled up. Move aquatic potted plants to the base of your pond until the storm has passed. This entry was posted on Thursday, September 1st, 2016	at 1:50 pm	. You can follow any responses to this entry through the RSS 2.0	feed. Both comments and pings are currently closed.